In a recent analysis of letters to the editor written on the topic of the errant apostrophe, I have come across many humorous examples of both letters and featured comics. 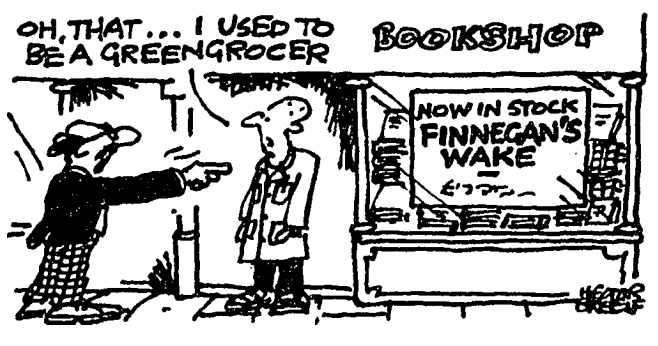 The two comics below are taken from the Guardian. The first (The Guardian Oct. 9, 1992, p. 22) depicts the misspelled novel title which, the pedants say, causes James Joyce to turn in his grave. The second comic (The Guardian Apr. 15, 1994, p. 21) alludes to those who claim to be able to hear a misplaced apostrophe. 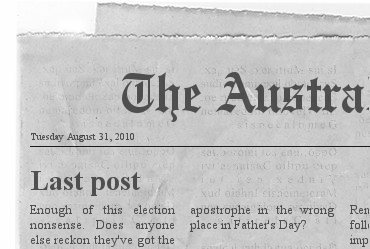 My favourite letter on the apostrophe yet raises an interesting point regarding the spelling of Father’s Day, which is coming up in only a couple of weeks! 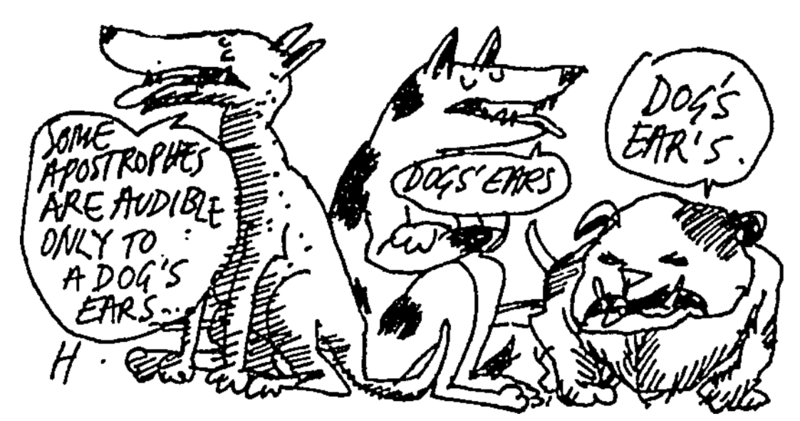 This entry was posted in cartoons and tagged apostrophe, humour, letter to the editor. Bookmark the permalink. I constantly struggle with how Starter’s Day should be written. I’ve heard arguments that it should be Starter’s Day because it’s for the individual attendee. I’ve heard arguments for Starters’ Day but think it just looks awful. Sometimes I opt for Starters Day. Just google National Secretary’s Day and what the USA has made out of it to see a similar problem. Yes: and I (Ingrid Tieken) have problems about whether it should be a Learners’/Learner’s/Learners dictionary, and feel insecure about whether we should write Master’s/Masters course (not Masters’, I suppose).